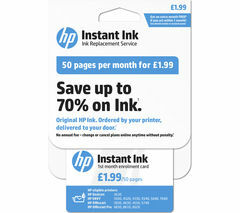 For large volumes of high quality printouts choose an HP printer cartridge from our extensive range. Proven to offer better, more reliable results than non-original alternatives, HP print cartridges deliver unmatched performance when paired with your HP printer. In fact, printouts produced using original HP ink and photo paper typically last more than 50 times longer than non-original inks, so choosing cheaper alternatives can often prove to be a false economy. Our comprehensive collection of HP printer cartridges spans a wide variety of price-points to suit all budgets and requirements. 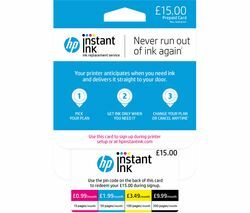 Whether you’re looking for monochrome or full colour printing ink, you’ll find a HP ink cartridge that fits the bill – just make sure you pick a cartridge that’s compatible with your printer. You can also factor in your specific requirements when choosing your cartridges. If you’re a heavy user it’s a good idea to consider XL cartridges like the 903XL and 62XL, which offer a significantly enhanced ink capacity. This means you can expect a far greater page yield – approximately 825 prints with a colour 903XL cartridge and 2000 with a black 903XL. Our printer cartridge collection offers a comprehensive choice that covers all the major printer brands so, whatever your printer, you should find a cartridge to match. If you have an Epson printer make sure you view Epson printer cartridges and be sure to check out our Canon printer cartridges if you have a Canon printer. Our range also includes Brother and Kodak cartridges.